Muffins first thing in the morning are a special treat! 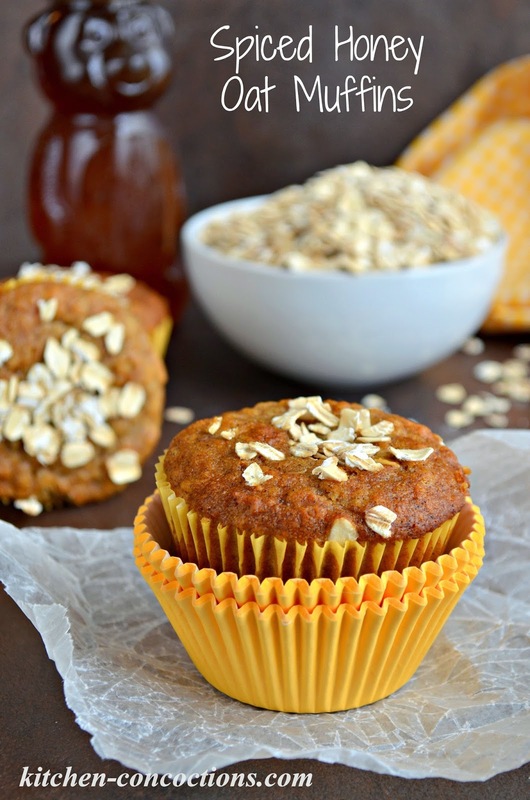 These Spiced Honey Oat Muffins are sweetened with pure, natural honey; have warm, welcoming spices and are loaded with good for you old fashioned rolled oats! One thing that is top priority is writing down my daily gratitude(s). I did this when I was in high school and college, when I was trying to ‘find’ myself; and it helped me so much. Back in November, I was reminded to do this by my blogging buddy Julie, who wrote a whole blog post about being grateful and how writing her daily gratitude helped her. Since then I have put a good effort into if not just thinking about what I am grateful for but trying to jot it down as well. In addition to trying to be more grateful, when I did my daily gratitude in high school and college, I challenged myself to do 2-3 random acts of kindness a day. These were mostly small things, like saying hello to a stranger, sending a card (snail mail style) to tell someone how much I appreciate them, or paying for a stranger’s toll. These small little acts really helped me be more connected, appreciate life, be more grateful and overall bring me great happiness as well as bring a smile to another’s face. One of my absolute favorite kind acts were to bring homemade treats to friends, neighbors, and my classmates. I enjoyed getting in the kitchen and whipping up a tasty treat and my friends thoroughly enjoyed all my homemade goodies! I even have vivid memories of smiles from several shy kids in my class as they enjoyed a homemade chocolate chip cookie. It’s moments like these that I hope to have more of in 2015. 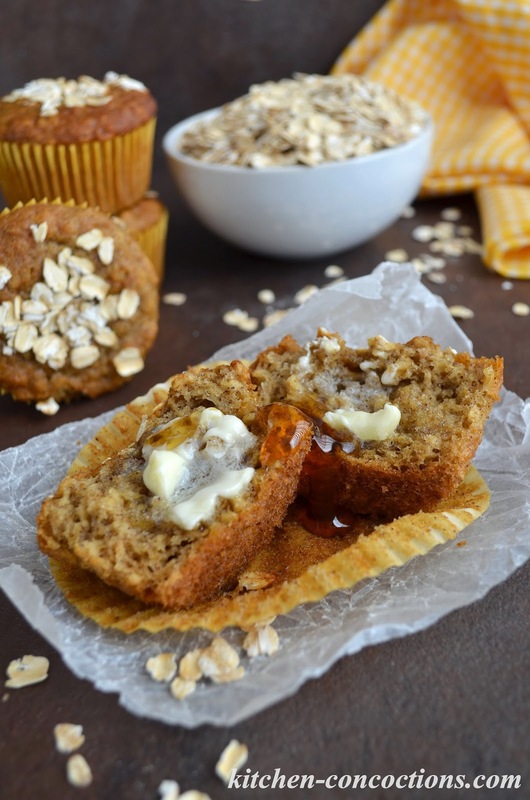 If you are looking for a delicious homemade baked good to give to someone to brighten their morning, these Spiced Honey Oat Muffins are perfect. They are sweet, but not overly sweet, and despite not having any fancy “mix-ins,” they are flavorful and hearty. Whip up a batch to enjoy as an afternoon snack or to give a friend to brighten their day. 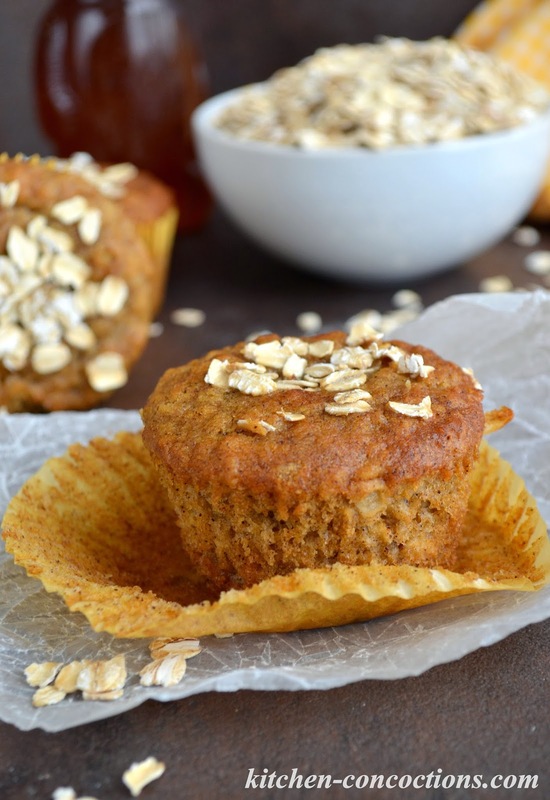 Warm spices and sweet natural honey make these muffins perfect for a mid-morning snack! Preheat the oven to 375 degrees F. Grease muffin pan or line with paper liners. In a large mixing bowl, whisk eggs and honey until well combined. Add buttermilk, oil and vanilla extract. Whisk until all ingredients are well combined. In a separate bowl, sift together the flour, baking soda, baking powder, salt and spices. Slowly stir the dry ingredients into the buttermilk mixture a little at a time, stirring just until combined. Stir in the rolled oats, making sure not to over mix. Divide the batter equally between the prepared muffin tins, filling only about ¾ of the way full. Bake for 10-12 minutes or until a toothpick inserted in the center comes out clean. Allow muffins to cool for 10 minutes in the muffin pan before transferring to a wire rack to cool completely. This looks so lovely, just a question; I'm not sure that I understand the ingredient instruction "buttermilk OR coffee"? Hi Anna! You can use either buttermilk OR coffee as the liquid ingredient in this recipe (don't use both). I have tested this recipe with both, and they both work great in this recipe. So just use whichever one you have on hand or prefer!